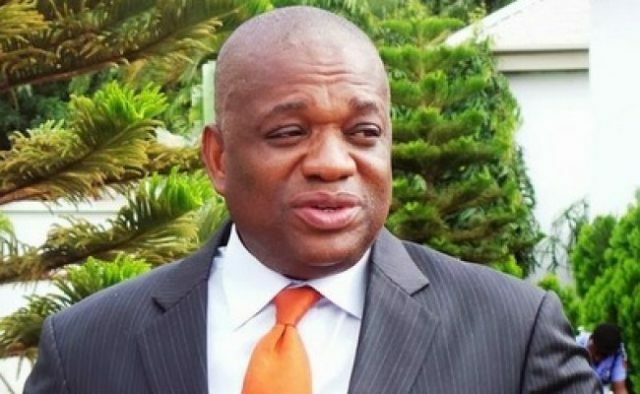 Former Abia State governor, Orji Kalu, has said that there will be any presidential candidate he would support in 2019 ‎other than president Muhammadu Buhari. “Although Alhaji Sule Lamido happens to be my long time political friend and an aspirant for Nigeria’s president‎ in the PDP, I told him I won’t vote for him against President Muhammadu Buhari,” he said. Mr Kalu stated this on Saturday while on a state visit to Jigawa. He told Governor Muhammed Abubakar that he was touring the country to sensitise Nigerians on the need to allow Mr Buhari remain president, come 2019. He also criticised former President Olusegun Obasanjo over‎ the letter he wrote to Mr Buhari advising him not to seek re election again and said the former president lacked the moral right to decide who becomes what in Nigeria. “People seem to have forgotten when former President Obasanjo was literally absent for about three years traveling all over the world‎ when he was president and then nobody told him not seek re-election,” he stated. Mr Kalu said Nigerians have the moral obligation to choose their leaders through the democratic process, advising them to go ahead and vote for Mr Buhari as president while also voting for Muhammed Badaru as Jigawa State governor. He said voting for other people other than Mr Buhari would be giving an opening for the continued looting of the country’s treasury. Mr Badaru, who expressed his excitement over the visit by the former Abia governor ‎ said his choice to project the reason for the re-election of President Buhari was unprecedented.